In Colorado, violent crimes are felony offenses that can result in lengthy mandatory prison sentences and severe court sanctions. It is important to remember that an arrest is not a conviction and that just because you were accused of committing an offense it does not mean that you will be found guilty of it. If you were arrested for a violent crime, it is essential to obtain experienced and knowledgeable representation from a skilled Colorado violent crimes attorney. Attorney Brandon Marinoff has handled thousands of cases, including 70 trials, during his tenure as a Weld County Prosecutor. He has the very important advantage of being able to draw from his knowledge and skills as a prosecutor and to use them to his client’s advantage. As a former prosecutor who now practices criminal defense law, Attorney Marinoff has experience on both sides. This, of course, is desirable in criminal defense work and of great potential benefit to his clients. Attorney Brandon Marinoff understands that your personal freedom and future is at stake and that a successful defense requires savvy, intelligent planning and research. Attorney Marinoff provides compassionate, dedicated legal representation without judgment. He will always return a client’s phone calls within 24 hours. As a criminal defense attorney, Brandon Marinoff is a fierce proponent of an individual’s Constitutional rights, and he will utilize his knowledge to fight for your freedom. Attorney Brandon Marinoff takes his time with his clients, explaining each step of the case and what to expect. If you have been arrested for or accused of committing a violent crime, it is advisable to obtain legal representation immediately to preserve your rights and your freedom. Attorney Brandon Marinoff offers a complimentary case evaluation in which you can discuss your case and review your legal options. Attorney Marinoff serves clients in Westminster, Denver, Boulder, Colorado Springs, Greeley, and elsewhere throughout the state of Colorado. To schedule your free case review, call Marinoff & Associates, P.C. 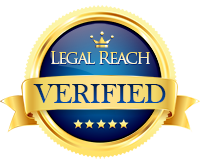 Attorneys at Law at 720-621-7635 or contact us online.